Lavois Cruickshank, a simple yet ambitious young man. Lavois has the incredible dream of positively impacting and inspiring a nation. The Spanish Town native lives by a philosophy posited by Jared Kintz, “Whether you live to be 50 or 100 makes no difference, if you’ve made no difference in the world.” and with this as his motivation. Lavois aims to use his abilities, gifts and skills to make a difference. He is currently serving as a Jamaica House Fellow at the Office of the Prime Minister in Kingston, Jamaica. Lavois prides himself in excellence, committing wholeheartedly to any duty or task. With his deep interest in Finance, Economics and Strategic Planning – Lavois pursued a BSc. in Economics and Banking & Finance at the University of the West Indies. He also holds an MSc. in Financial Economics from the University of Birmingham. With an immense love for tennis and a passion for nation development, Lavois actively serves as a math tutor at his alma mater, Calabar High School in Kingston, Jamaica; as a volunteer with the Jamaica National Foundation as an ambassador of the Governor General’s I Believe Initiative (I.B.I). Just to give a little background to our listeners. Yanique was privileged to have the opportunity to hear Lavois speak in front of an audience of 300 plus last week around this time as we celebrate National Customer Service week, he was invited as a special guest on a panel of people who are probably twice his age, but he really commanded great attention and was able to really wow the people who are listening including herself, hence, why extended this wonderful invitation for him to join us on the Podcast! What is your view on customer service and customer experience? As a customer yourself could you give one to three things that you maybe experience whether it be locally or internationally of a business that really made a difference for you? What are some tips that you would recommend to businesses that would help to make experiences effortless for their customers? How do you stay motivated everyday? What if you have employees in your organization who don’t have that natural drive that you have. And there are certain goals that you have set for a company, but they are not pulling their weight. They’re not creating that level of culture where your customers are feeling satisfied and so your internal customer culture is not where you want it to be. What advice would you give to a business owner who had that kind of dynamic? What’s the one online resource, tool, websites or app that you absolutely cannot live without in your own business or your own way of operating daily? Could you share with us maybe one or two books that have had the biggest impact on you? What is the one thing in your life right now that you are working on to develop yourself – something that you are really excited about? Where can our listeners find you online? What’s one quote or saying that during times of adversity or challenge you revert to this quote to kind of help you to keep centered and to focus on your path or goal? Lavois stated that he grew up in a family that encouraged excellence, excellence in the sense that going through school you were required to just do well, it was not an option, it was just mandatory. So, he grew up with two teachers as parents and he grew up with church parents as well, so there’s the balance of the academics and the balance of the school and spiritual part of it as well and so, he had to just focus during school. So, he started off in primary school, Calabar for High School and then it was just a natural transition in tertiary education at UWI. He just always had an interest in finance, he grew up watching TV particularly Owen James’ On a Personal Note and he just thought finance is probably something he wants to get into and then it was about money. So, it was just very interesting. He knew from then that he would want to be working at a bank wearing a jacket suit something of the sort and that was what really motivated him at the time but then growing up in Calabar, he was inspired by his Economics teacher who just had so much passion in sharing her knowledge with them. And so, he thinks it was because of her why he chose to do economics at UWI and then he did well at UWI surprisingly. He was not the amazing student in interpreting but because he loved economics so much it became just second nature and he just did well at it and now he’s serving as a Fellow at the Office of the Prime Minister. What they do is that they’re pushed into different projects to assist wherever they can. And he’s actually assigned to the National Export Import Bank of Jamaica which is the EXIM Bank working in strategic planning just assisting where he can in the bank achieving its goal. Lavois stated that when he got the invitation to be a guest on the panel for the National Customer Service Conference, was when he actually knew that there was even a Customer Service Association existed, so much so a Customer Service Week. He thinks that we are transitioning as an economy from just a manufacturing point of view and we have now transitioned to services, we are in a service led industry, our economy where services are really taking up a large portion of what we do generally. He finds that as well that service has become almost as a sign, it is what differentiates you because everybody offers pretty much the same goods and services and if you’re not able to differentiate yourself in this very competitive market it is difficult for you to survive. So, he thinks service excellence and just the service that you offer is key in the longevity of a business. Lavois stated that he’s a little different, he doesn’t like interaction that much which is a sad case in some senses, but he likes being able to just go in and get what he wants and leave. And so, the easier you make that process for him is the better. So, if there is no hassle in getting what he wants, there’s no long lines, if there is no long amount of persons to speak to in getting whatever he wants from you as a company, then it makes it easier for him. He actually remembers studying in the UK and it’s not particularly one provider of a service, it’s just how easy it is to do anything that you want to in that. If there’s something that you want, you can always know that the option is online and that is what he found was the difference between the UK and Jamaica. Everything is so much easier to do because it’s online and he find as a young person and especially as a tourist somewhat because he was a student. It would be not have been easy for him to find certain places or to know where to look for certain things, he just had to Google it and it made sense because he could just purchase it there online and have it shipped to him. So, he thinks that was what made the difference between the Jamaican experience in terms of shopping and the UK experience, everything was just there for him to find online. So, that was one major that caught him with shopping or purchasing anything. 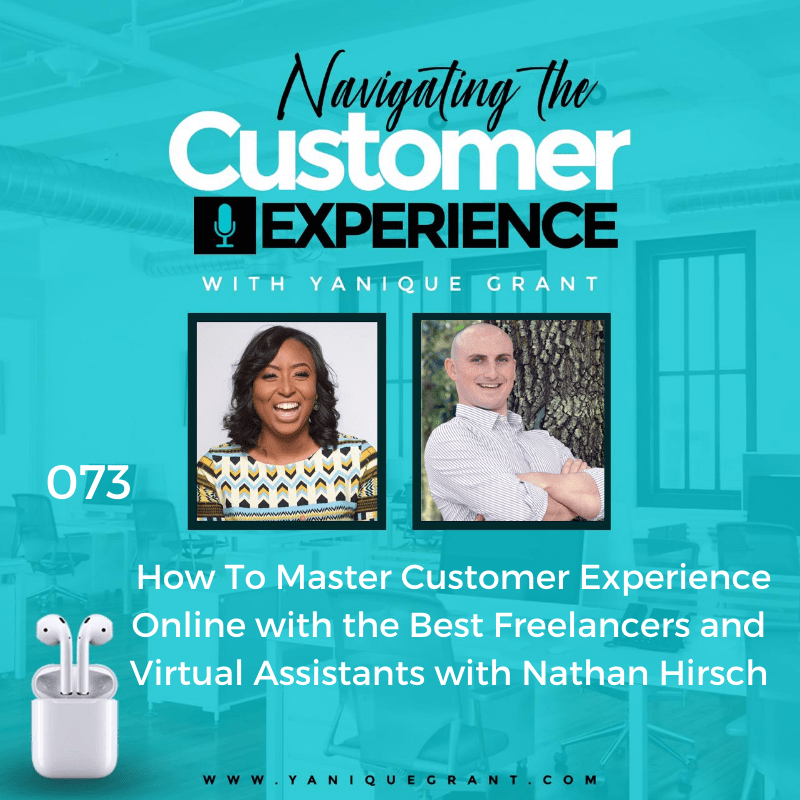 Yanique shared that one of the guests a couple of months ago wrote a book called “The Effortless Experience” and it’s really been something that she has thought about for a very long time in terms of what customers are looking for and a lot of times not just yourself even other people that she has interviewed are just generally having conversation. People are actually looking for an experience that requires them to put as little effort as possible which is why the online is such a remarkable experience for most people because if you can do the transaction literally at your office desk or while you’re sitting in a doctor’s office with your kid waiting to see a dentist or while you’re sitting in an airport waiting to catch a flight….It makes your life that much easier. Lavois stated that it’s a little bit difficult particularly because we’re not necessarily at that place where we could market online things. We are somewhat behind the world in that particular sense, but it wouldn’t hurt for us to still push to get there. He thinks if we can market our things online and allow transactions to happen, he thinks the Prime Minister himself is trying to get us to that place where an economy meaning we’re just doing everything digitally and for transactions to be easily done, quicker and that transaction cost being safe and that’s us being more efficient. Apart from being online you want to be everywhere, your customers are everywhere, you want to be on all social media networks as well and this links back to the presentation that he did at the Customer Service Association Conference. What it speaks to is us as Millennials being your major target markets, we are reaching our spending peaking years and so we’re going to be in your faces, we are going to be your customers. And so, what you have to do as a strategy to reach us as Millennials is to just be everywhere. Twitter, Instagram, social media, anywhere that you can possibly be that you know your market will be, you should be. If you can provide a self-service if there is something that you can implement in your organization that allows that customer to just go in and to come out as quickly as possible, to just get what they want from you and leave he thinks that would be very good to implement. Probably just be personal, understand that each customer’s need is probably different. And so, how you interact with each one of us will make a difference as well. And then answer quickly in case we have any queries or us not, just be very quick about it because we are very impatient and as customers we want it and we want it now. So those are probably just one, two, three tips that he could probably offer with any organization that wants to just make it effortless for their customers. When asked about why he thinks people want things now versus 10 or 15 years ago. Lavois stated that’s just how we are. He thinks that’s just the general nature. Instant gratification is what we desire or want something that is just very natural. We get that satisfaction from having it now and the impatient is not something that we can work with. He thinks that technology has definitely helped to propel that desire. Technology has allowed us to access things very quickly than, quicker than we thought possible, initially and because we are now used to technology granting us what we desire quickly, it has now become second nature that we just want it because it can happen, it has propelled us to that kind of mindset where it needs to happen, and it needs to happen now. Which can also be a bad thing, but it is a good thing in a sense. Yanique agreed that stated that the reality as she say to people generally customer experience is constantly evolving so we’re here discussing what customers want now, about five years from now it’s probably going to be completely different from what we’re discussing. The customer is driving that whole change, back in the day when there was no social media you basically had to just probably complain via writing or state any challenge you have by writing, you really didn’t have much power because nobody knows that you wrote the letter but a customer has so much power now with social media, they can blast a company whether they’re doing well or they’re not doing so well, on any of these platforms and it literally reaches millions of people in seconds. When asked about staying motivated, Lavois stated that how he grew up and he thinks this is how he ended up in strategy planning because he just always had a plan in his head and he doesn’t know what drove that plan but there was always something in the back of his head saying this is what I want to do next. So, he remembers going to high school or going into UWI, he would simple plan out the courses that he wants to do from that first year, he would know what he wants to do in second year, what he wants to do in third year, what’s he’s going to do after the degree and so there’s always a one-year, two-year, five-year plan. But there was something in the back of his head where he sees himself. He sees himself being successful, as himself making some impact in Jamaica locally and probably even the world. He just sees himself doing things and because that in the back of his head, he knows he gets up every day knowing that this is just my next step towards getting where he wants go. He doesn’t think he’s satisfied with where he is, so he believes that this satisfaction somewhat is what drives him. At the same time, he grew up with parents who gave everything they had for their kids. He has seen his father work with entities that he did not like, that he did not enjoy, he endured jobs that he probably wouldn’t have wanted to do just because he had children to see through life and so this is a contribution for his parents, he could not take that for granted. So, he knows that there is something for him to do to allow his father and mother to enjoy the life they wanted. At the same time there is so much that we can change and there’s so much that we can impact. He feels like work in itself is not necessarily what you bring to the table but how you make people feel and so there’s so much that we can do and that keeps him motivated everyday. Lavois stated that he thinks he has probably experienced that before where there’s some internally or people internally who don’t necessarily have the same drive that you have. And he thinks from his own experience, what you need to do is to understand your own employees first of all because it’s not that it might be eluding them it’s just that you’re probably not bringing the same message across very well. And so, what he encourages people to do is to look internally to see if there’s something else that you can do to make that difference. So maybe it’s that you just need to find out how that person operates and then do something else out of the ordinary that would probably get the reaction that you want and that kind of energy going forward with the business strategy and if that doesn’t work. It’s how you interact with them as well, if it is that your own enthusiasm about it cannot bring out that same enthusiasm in them, he’s not sure what else can be done but he thinks there is an internal approach that needs to take place first to kind of look at who the person is, how they operate and then try your best to get that same enthusiasm out of them. And he thinks everybody has that side to them and it’s just how you unveil it. Lavois stated that Whatsapp is a very good tool and it’s not only for personal and social media vibes, it’s also his way of finding out information, this is how you keep current and it’s surprising, a lot of people would not even realize that a lot of the information that you hear or find comes from social media platforms. He thinks WhatsApp, Facebook, all of these social media platforms allows us as millennials in a sense or even everybody to kind of keep up to date because the news is always there. And so, us as millennials don’t necessarily read newspapers. He has to do it and ensure that he does to keep up. But at the same time the same news that would be translated into print is on social media platforms, so it forces us to kind of be up to date with information. So, he thinks any social media platform is definitely necessary for him. Lavois shared that he’s not a fan of reading, he’s not surprisingly. One particular book that has had some impact on him is a book that he actually read a long time ago, it’s called The Purpose Driven Life: What On Earth Am I Here For? by Rick Warren and it’s a more spiritual side in terms of reading. It was just him trying to find out what is it that he was here to do, what was his purpose here and what impact he could make. Apart from general reading, he loves reading quotes and inspirational messages and the one that he has put before mentioned in the bio was by Jared Kintz and what Jared Kintz said was, “Whether you live to be 50 or 100 makes no difference, if you’ve made no difference in the world.” And that has hit him so much because he realized if you are just here on earth and I’m not really making any difference then your life really makes no difference because you’re not impacting anybody’s life and he feels like we are here and we’re here to make so much of a change in this world that we should just always attempt and aim at that and so if you’re not making a difference then what purpose really does your life serve. Lavois stated that for his recent birthday, he decided to create a theme for his birthday which was “No fear, no pride, no compromise” and what the theme tried to do was basically to encourage him to go after everything he wants to do. He grew up with a lot of pride in a sense which kind of hindered him from doing a lot of things because he was afraid of what people would say and how they would see him, at the same time that was the fear component, that was the pride component and there was no compromise meaning he would not give up who he was to achieve anything that he wants. He has so many goals but there are so many roads to get there but he doesn’t want to give up who he really is and he’s not going to compromise who he is to get there. So, he’s very excited about the journey, he has executed a few things that he really wanted to do, and he has gotten over the fear of doing them simply because he thought people would see him in a particular light and feels very good to just go after your dreams. So, for this birthday he created that theme, no fear, no pride, no compromise and he’s just trying to accomplish whoever he wants to be in this life. Lavois stated that it is not necessarily a quote, it’s just something I use to refer to when times get really hard because these things happen. It’s probably in a quote somewhere, it says “What man has done before, man can do again.” which pretty much speaks to us being able to overcome any particular situation. What he does in his very difficult times is to think about other people who have overcome the same struggle or the same situation and then draw strength from that and it makes it easier almost because it gives us a certain level of courage to kind of still go through this particular battle that we’re having. So, if you’re going through something very difficult, if you’re going through something that is very challenging, he would encourage you to think about people who have gone through the same struggle and how they’ve overcome and draw strength from them as well.